The Company of Pikemen & Musketeers was formed in 1925 to take part in the first Royal Tournament at the Royal Agricultural Hall. 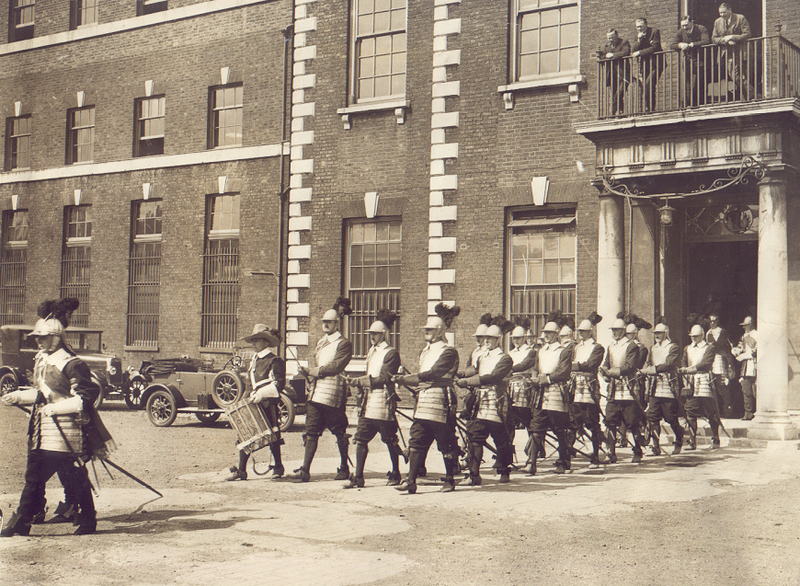 The company’s first ‘outing’ was deemed to be such a success that the demonstration team was kept together and developed and has been providing colour and pageantry at events in the City of London and elsewhere ever since. The form of drill used is taken from a manual entitled Militaire Discipline first published in 1638 by Colonel William Bariffe, a member of the HAC and a parliamentarian army officer. He was a leading military writer of his time and his drill manuals were used by both sides during the English civil war. Although many of the orders are similar to those used in the British Army today you still hear some delightfully original orders such as ‘Have a care’, ‘Assume a lazy posture’ and ‘Charge for horse and draw your sword’. 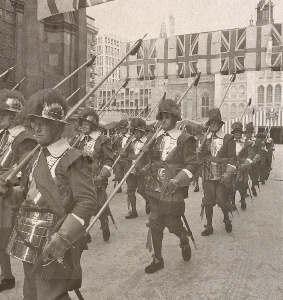 Seventeenth century marches and music are provided by the Company’s own drums and fifes. In 1955 HM The Queen granted the Company a Royal Warrant authorising it to parade and tasked it to provide a ceremonial bodyguard for the Lord Mayor of the City of London. In May 2010 HM The Queen, accompanied by HRH The Duke of Edinburgh inspected the Company of Pikemen & Musketeers.